Computer hard drive errors are a result of either physical or logical damage associated with human error, technical malfunction, electrical faults or corrupted software. Our HDD recovery experts can assist with all types of hard drive recovery. Whether it was human error or hardware failure, we provide both internal and external hard disk recovery services on a no fix no fee basis. Give our hard drive data recovery specialists a call today, in all likelihood our we can recover the lost data that you need, in a quick, efficient and cost-effective manner. Windows Vista, Windows XP, Windows NT, Windows ME, Windows 2000, Windows 98, Windows 95, Windows 3.1, Windows 3.11, Windows 386, Windows 286, DOS, Solaris, OS/2, SGI, NetWare, Linux, Mac OSX and Mac OS9. Call 1800 LOST FILES (1800 5678 34) for immediate advice and help from an experienced hard drive data recovery consultant. 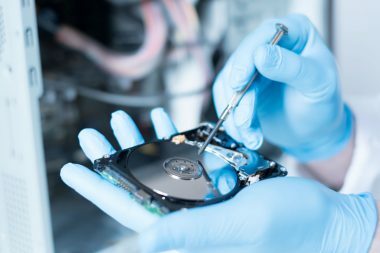 If the missing data is recoverable, we will organise to have your hard drive (if easily removable) couriered to our lab, for computer forensics investigation. A raw image of the data will be made for examination. Our data recovery experts analyse, repair and recover data from the raw image, using leading-edge technology. On successful completion of the data recovery project, file lists are created, the data is checked for validity and integrity, and returned in the requested format. IDE ,EIDE, SATA, , ESDI, SCSI, RLL, MCA, ST/MFM, Fibre Channel, PCMCIA Type I, II and II, 1.8″ ATA, and CF+ Type II hard drives. The turn-around time for full data recovery with analysis, is typically 3-5 days. However, complicated cases may take longer.